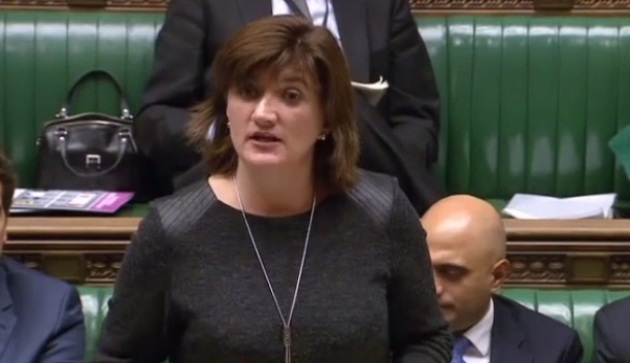 Education Secretary Nicky Morgan has told Labour to “wait and see” what happens in next week’s Budget before accusing the government of failing to protect funding for 16 to 19 education and training. Labour called an Opposition Day House of Commons debate this week to propose that the 16 to 19 education budget be given the same protection as that of schools. “If education is a public good then it is baffling why 16 to 19 education is not protected and is facing further massive reductions,” she added. Chancellor George Osborne is due to announce the results of the Comprehensive Spending Review (CSR) on Wednesday (November 25), which is expected to make huge cuts to FE spending aside from apprenticeships. She said: “When we have had a situation where children leaving primary school are unable to read, write and add up properly that is where in a difficult economic climate the decision was taken to put the education investment particularly. She added that the Conservatives would deliver a post-16 skills system that would deliver a “clear and high quality route to skills and employment” either directly or through higher education, with apprentices being a “key part” in the world’s most successful skills systems. 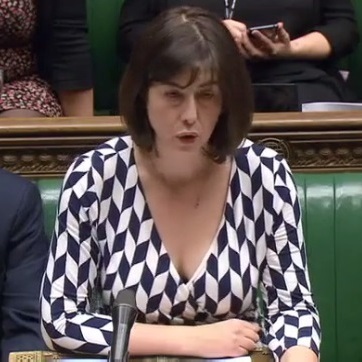 Ms Morgan said before the May General Election that the Conservatives would maintain the ring-fence for five to 16-year-olds, but did not commit to protection for early years or FE budgets. Meanwhile, Labour promised at the time to include 16 to 19 provision within an education budget ring-fence, which currently ends at 16, but had not previously committed to protecting it from being raided for other provision. Adding to the debate after Ms Morgan, Shadow Skills Minister Gordon Marsden said that “colleges should not lose out to schools but the Government are in danger of allowing that to happen”. “The Secretary of State did not look at the unsustainable division between school education, which has ring-fenced funding, and FE, which faces growing marginalisation and an ever-greater burden of cuts”, he added. Skills Minister Nick Boles said the debate had “distilled the essential difference between the government and the opposition”. “We will invest in the future generation and their capacity to earn money for themselves by investing in apprenticeships, the people who will attend these colleges that the Opposition want to support, by making them better, longer and more rigorous,” he said. “They [labour] will lay more debt on their backs — and will ask the future generation to be paying for their decisions now due to their failure to get borrowing under control. “We will not go down that path — we will invest in reform and improvement,” he added. I think the post-16 sector has rightly been trying to make Nicky Morgan realise there IS a panic and having failed that, have at least convinced the Labour party of the urgency of the situation. The fear (and the hard evidence) isn’t coming from political parties; it’s coming from the staff, students, heads and governors of colleges who have daily evidence of the impact of Coalition and Tory cuts. The word cuts is entirely accurate having only seen cuts and efficiencies in the last period of government, the word review really only signifies further reductions. The government has laid their ideological perspective bare, skills and training not education and learning, a single dimensional approach. The cumulative actions towards FE under the guise of post-16 can only be seen as an attack, furthermore a zealous one drawn along ideologies which belong in the history books. The focus of FE should be narrowing the socioeconomic gaps, not solely on undeliverable quantities of apprenticeships. Education should be ring-fenced. Stop wasting resources on reviews of spending, tell us how much we can have instead of wasting more energy on colluded calculations and sign the cheque. Leave the rest to the people who know what they are doing.